Here is a card I made for Christmas! 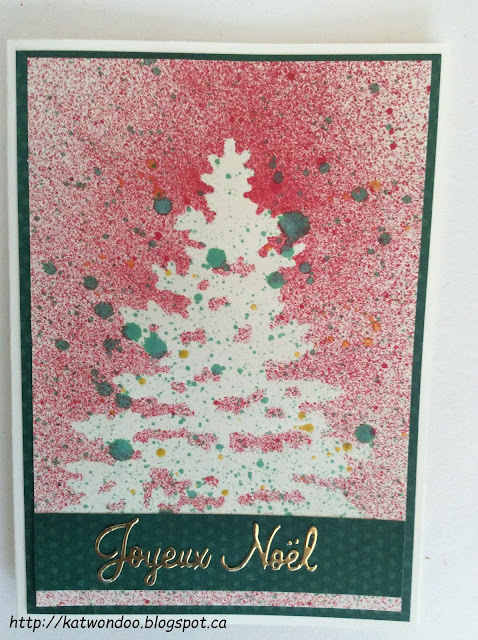 I used a tree stencil, sprayed Dylusions ink spray, Lindy's Stamp Gang spray and gold Irresistible spray. My sentiment is a die cut in gold paper. Beautiful card! Such a fabulous background! Love it! !